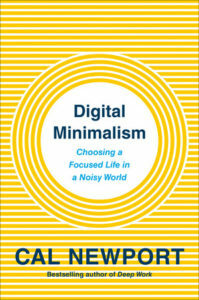 Georgetown computer scientist Cal Newport’s Deep Work sparked a movement around the idea that unbroken concentration produces far more value than the electronic busyness that defines the modern work day. But his readers had an urgent follow-up question: What about technology in our personal lives? Digital Minimalism is an indispensable guide for anyone looking to reclaim their life from the alluring diversions of the digital world.